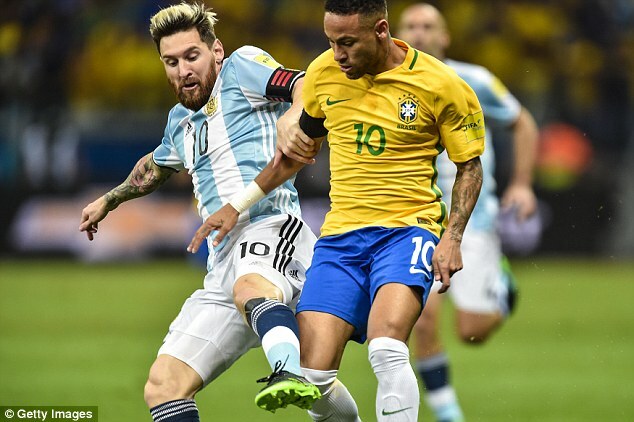 Brazil national team boss Tite claims that he wished Lionel Messi was playing for the Selecao. Brazil are regarded as one of the top international teams, but they have been unable to make much of an impact in the last decade. The first World Cup title for the Brazilian national team was in 2002 when the team had outstanding players like Ronaldinho and Ronaldo in the team. Even though Neymar is the present face of the Brazilian national team, he has been unable to help the national team in major honours. It is largely because the Brazilian has been running the show has a one-man army. His condition is similar to the one experienced by Lionel Messi with the Argentina national team. Argentina have faced numerous disappointments on the international stage over the last couple of years. Messi has been the single biggest threat for the national team, despite the presence of players like Sergio Aguero and Gonzalo Higuain. These players have failed to deliver when it comes to the national team. Tite is of the opinion that Brazil would have been simply unstoppable with Neymar and Lionel Messi in the same team. Even though Brazil fans will not be happy with their manager praising a player who belongs to one of their main rivals, Messi has often received the adulations of almost everyone. "Yes, I would have wanted Messi to be born in Brazil.Regardless of the great rivalry between Brazil and Argentina, one only rivals who he admires. And we have an admiration for the Argentine.Messi is awesome. His creative ability is extraordinary, outside of normal patterns. He manages to see what others don't.They're [Cristiano Ronaldo and Messi] different styles – one is a scoring striker, finisher. The other is playful, creative and magical.The two on the same team would have destroyed rivals," said Tite.